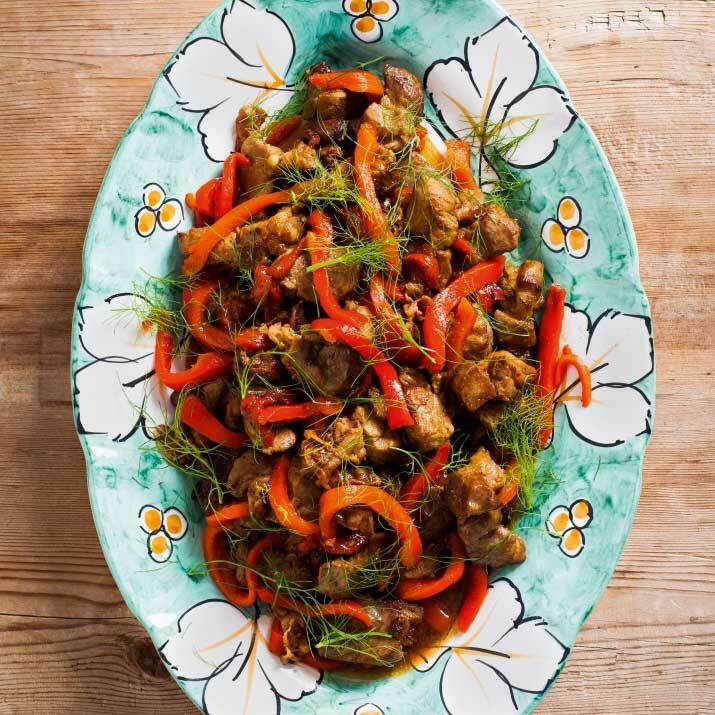 Place the pork in a bowl and season with salt and pepper to taste and the fennel. Cover and let marinate for 2 hours. Heat the oil in a saucepan over medium-high heat. Add the pancetta and the pork and brown slowly for 10 minutes, stirring often. Add the peppers and cook, stirring, for a few minutes. Remove from the heat and transfer to a serving dish. Serve hot.